If you're just hearing this now, you missed an incredible party! On October 5th, ThinkPad turned the big Two Five and celebrated in the only way it knows how, by being different. Instead of getting gifts, it gave them away, live on Facebook for a birthday party that got a little bit out of control. But confetti balloons and spilled drinks couldn't stop it. Just like it keeps ticking in its decades of punishing travel across the globe. 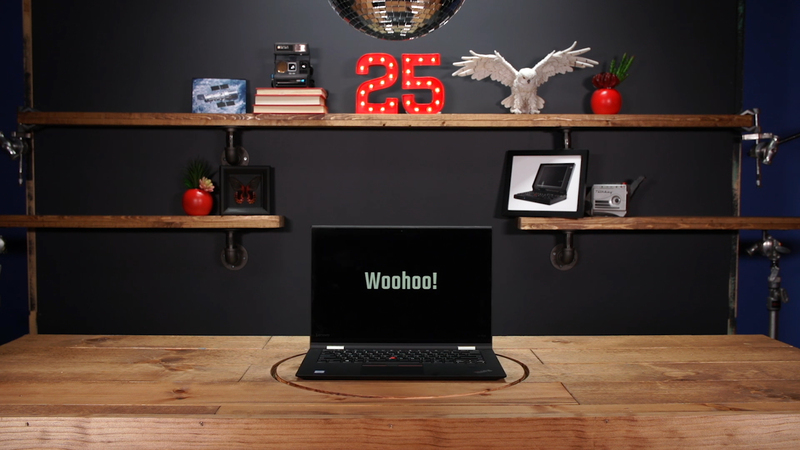 We gave away everything a desk-dwelling partygoer could desire, including one-of-a-kind swag and five ThinkPad Anniversary Edition 25s. This is a uniquely loyal group who know that, whatever its iteration, a ThinkPad is reliable, intelligent, and in a category by itself. You can check out the party at goo.gl/nhf4em.